Goal: Layer cake of red velvet and cheesecake. Not frosted together, but actually one cake. Hypothesis: Bake red velvet layer, then dump cheesecake batter over it and rebake. 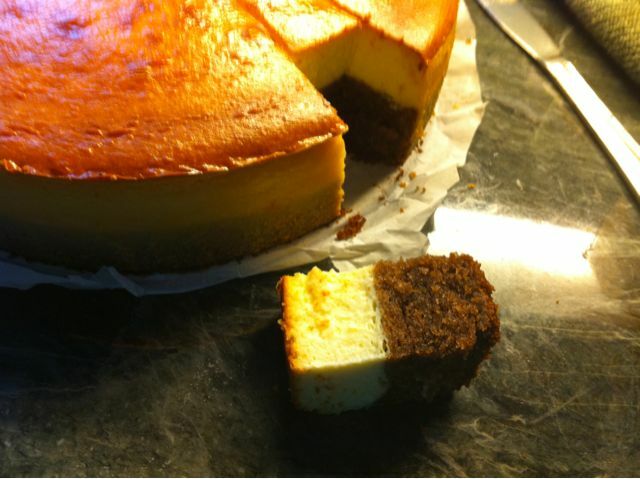 Follow up: Some theories — Partially bake red velvet, then add on the cheesecake layer. Layer the batters, see what happens. 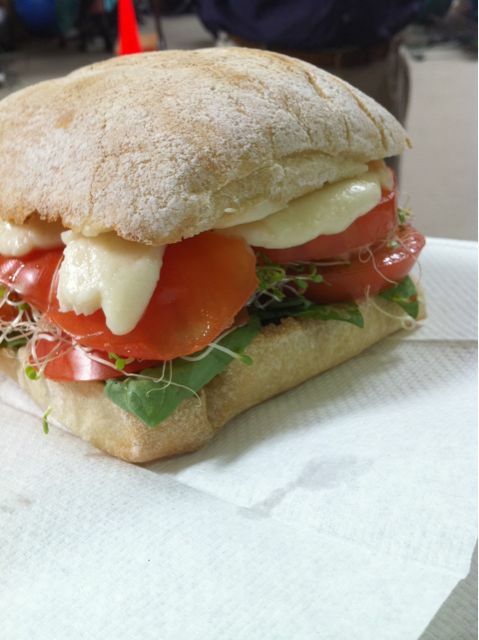 Lunch today — giant sandwich (didn’t quite fit in my mouth) of home grown tomatoes, basil, sprouts and store-bought bread, cilantro pesto and mozzarella. Yum! A little olive oil on the bread (or maybe aioli?) would have been ideal though. I’m so excited that my tomatoes are finally ripening! Hello world! Here’s a test post from my iPhone — written with the iPhone wordpress app! 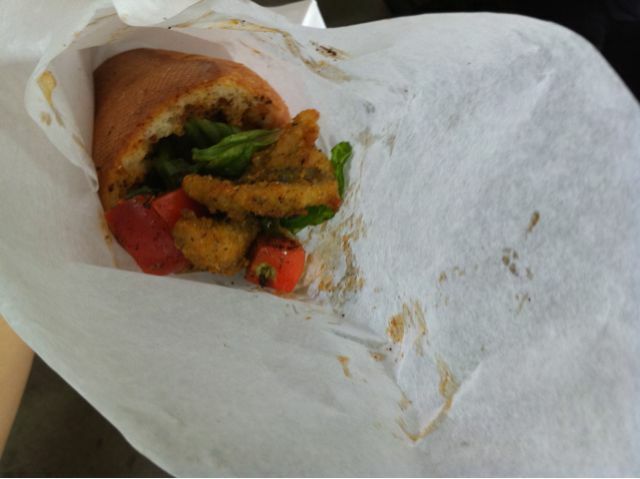 Also, here is a picture of the tasty fried chicken catfish poboy I had for lunch. Louisiana Territory stops near my office every couple weeks, but this is my first time and I’ll be going back. You are currently browsing the the hungry moosaurus blog archives for September, 2010.